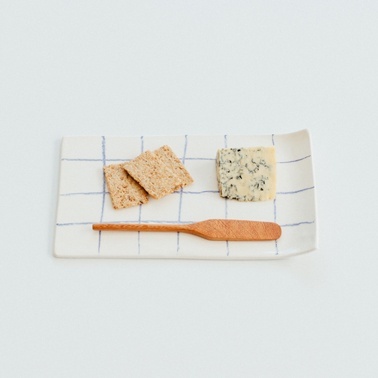 Earthenware serving/cheese plate glazed in blue and white gloss. Our tableware items can go in the dishwasher but are best washed by hand, they'll last longer that way. Avoid microwave use. Comes in a natural cotton bag which makes it a perfect gift. Handcrafted in NZ.